Touchscreen technology is now the widely used interface among mobile devices and panel PCs in the world [Statistica]. But, what to do if the touchscreen stops responding to the user’s touch gestures? With over 4.5 billion mobile phone users, devices bearing this type of touch technology require lesser touch pressure to register user input. It provides a smooth interface which improves the user’s experience. That is why this technology is integrated into devices including mobile, tablet and industrial computing devices. But, this technological feature is still prone to common technical issues unknown to its end-users. Thus, it would be ideal to contact technical support representatives to provide a solution. Read more on this blog to help fix these problems. Many experts agree that installing a computing equipment with a responsive touchscreen can optimise industrial systems [Baanto]. And, ruggedised capacitive touchscreens are one of the most accurate and durable interfaces available to panel PCs. Industries like the food processing, air travel, and steel manufacturing are now utilising these devices to fast-track several manufacturing steps. But, capacitive touchscreen displays can also be subject to common technical issues. So, the best solution would be contacting a technical support to help you with these issues. Here’s how they can assist you in fixing touchscreen PC errors. A rugged device’s capacitive touchscreen could fail due to software conflicts. But, a tech support specialist can help you identify which programs are causing these issues. So, expect that you can have the access to an accurate touchscreen interface. You can ask the tech support specialist if the device is compatible with the application. They can also guide you through the proper installation procedure. 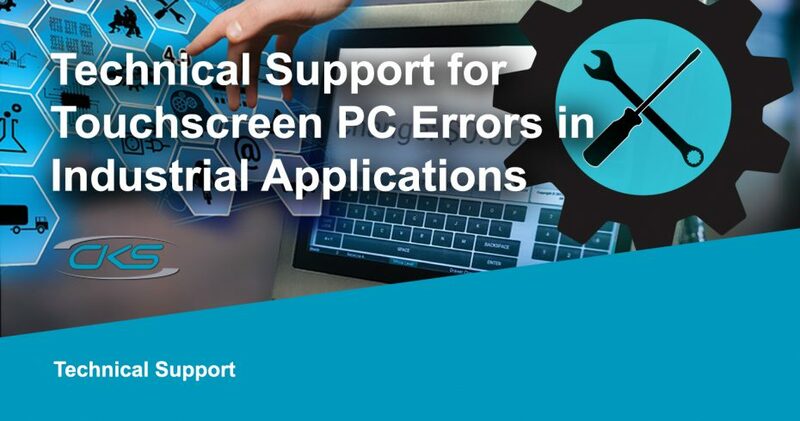 Manufacturing errors are one of the most common causes of unresponsive touchscreens. But, having a tech support specialist can assist you with the proper product return process. This will ensure that you will get a replacement as soon as possible. Utilising accurate and responsive touchscreen interfaces have certainly helped various industries to optimise their operations. But, this can also lead to technical issues which can greatly impact operational efficiency. Therefore, faulty device touchscreens must be fixed as soon as possible. So, maximise the system’s productivity and contact technical support today for any problem with your device.